" The Philippines: Great Fulfilling, Affordable Destination "
The Philippines is an archipelagic country where uniqueness and peculiarities shine while lures and wonders abound. 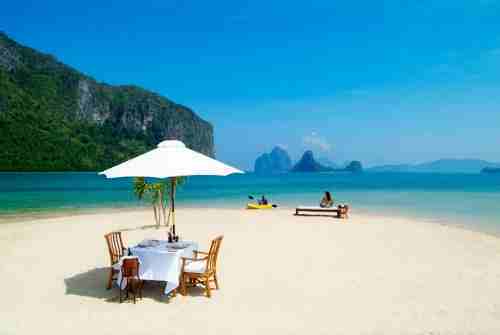 The Philippine Islands can gratify your travel pursuits… Wow Philippines is real. If you’re searching for exhilarating insights about the country, you can find a lot of the answers here. YES, the Philippines has about everything as one GREAT FULFILLING, MOST AFFORDABLE top destination choice to satisfy your simple-to-elegant travel measures. I'm Romeo Madronero. Natural-born Filipino… native to the land called the Philippines. Honestly, I have not scoured every corner of the country yet. As a former Marine though, I have reached several. So, perhaps I have what it takes to tell you what the country is all about as a Filipino. This site is yet another source of invaluable information about the Philippines as a travel destination... an expedient reference for both local and international travelers. It captures a dynamic narrative of three destination viewpoints about the Philippines. So let’s explore the country of 94 million Filipinos (2011 data) inhabiting a territory of 300,000 square kilometers. You certainly would like to SEE a place that gives you the most fulfillment most reasonably. I bet you do. The Philippines’ uniqueness and peculiarities can give you maximum fulfillment at the most reasonable cost nowhere else available in the West and very scarcely so in Asia. 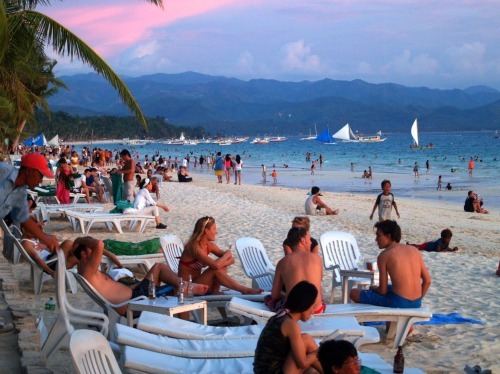 Philippines tourism hands you real inexpensive, high-satisfying experience. The country’s 7,107 islands… the beaches, cliffs, caves, hills and mountains, plains, rivers and lakes, surfing and diving sites, and other scenic endowments… are the lures and wonders that give you the utmost gratification. 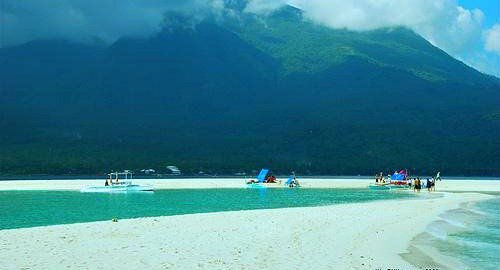 Here’s one dazzling view of beautiful Camiguin White Beach… it will pamper your eyes. 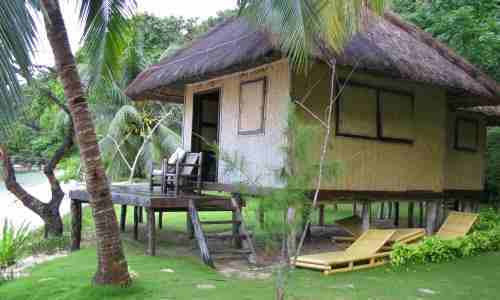 Philippines hotels offer all types of accommodations in-country… they deliver your lodging needs during your vacations. Five star hotels, budget hotels and villas give you affordable rates… their services make you come back. Coming to the country via Filipino international airlines gives you cheaper fares with the same flair obtaining among the competition. In contrast, local air, sea or land travel gives you immense fairness. The peculiar local rides lend you great excitement. 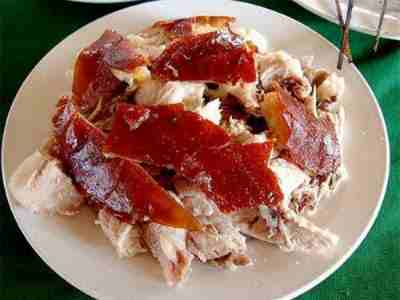 Filipino food gives you good-to-best variety and taste. Any international or local food you imagine, the country delivers. One or two of the best local cuisines… either one gives you treasurable memories. The cheap cost of anything in Philippine cities stretches your money longest. The things to do around confer real excitement on your vacations. Anything in the Philippine provinces is cheapest to render you rock bottom cost… your yearnings stay high. The outdoors, the scenery give you awesome delight. Would it interest you to LIVE in a country of lures and wonders that gives you the most contentment at the most reasonable cost? Living in the Philippines gives you huge cut on cost… lets you live rich or wealthy. 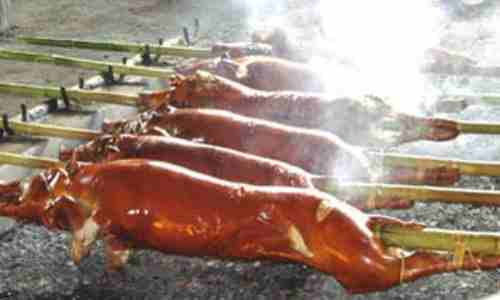 If you’re already well-off… adapting the Filipino way of life gives you deeper satisfaction. Too simple? Well, you can pursue whatever sophistication you want. You can retain some of your native land’s norms and mores in-country… it is welcomed in the land. The Filipino people meets you with a smile all the time… affords you Pinoy hospitality and warmth without measure. It is the land’s tourism signature. The English-speaking Filipino gives you ease in communication. 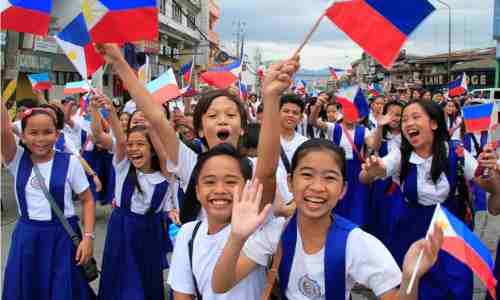 Expatriates can count on the Philippines government for equal treatment under its laws which the local nationals enjoy. You can rely on the considerate nature and friendliness of local law enforcers who love to treat foreigners well. Philippine news and overall communications provide you swift access to global or local news anytime… because the country has one of the best information and communications infrastructures in Asia. Filipino dating is unique. The Filipina values love and filial partnership deeply... her fidelity marvels her man. And the male Filipino? He can wash and iron the clothes, change the kids’ diapers or cook the meals after returning home from work… when circumstances demand. I’ve been to that. Discover why business visionaries INVEST in the country where the return in investment attracts. Explore the possibilities. Business Philippines could give you 35-50% savings in your operating cost compared to US business operations. It also allows you to avail of 40-100% foreign ownership in domestic corporations, retail trade enterprises or export businesses. Strategically, business opportunities are bright because the country is located in Asia… where the fastest-growing economies in the world are found. You can easily hire quality manpower locally … they are plenty around. Investing in-country today gives you the edge over late comers. My recommendation… tourism or infrastructure. 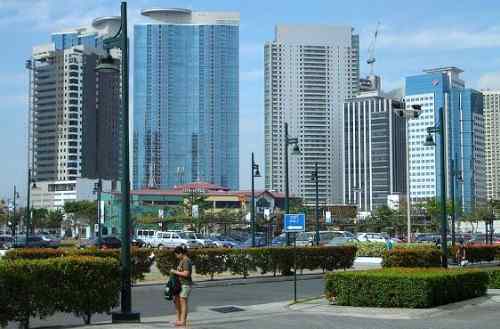 Philippine real estate declares that foreigners cannot own land in the Philippines… BUT the country permits you to own apartment units in high-rise buildings with foreign ownership not exceeding 40%. The state also allows you buy a house but excluding the land. With the properties you can acquire legally, you can spend your vacations more meaningfully with your pad of choice. You can rent out the rest for good business. Expenses attendant to real properties can cost you much less. Compare the 15% transaction tax in the U.S. with the 6% here. You can place your money and feel assured on any of the large number of foreign or locally owned banks in the Philippines. Each can adequately served your banking needs during your stay. The Philippines is one GREAT FULFILLING, MOST AFFORDABLE top destination choice that can satisfy your simple-to-elegant gauge for a place to see, live or invest in. Use this site’s information, get more informed… and ease your travel considerations before deciding to go. Decide, come… SEE, LIVE or INVEST IN the Philippines.